Despite U.S. Federal Drug Administration (FDA) regulations for clinical trials and other activities, some drugs can cause serious injury to the patients that they were intended to treat. Voluntary recalls or recalls by the FDA seem to be fairly constant. Based in Chicago, defective drug lawyers with Phillips Law Offices are here to help hold drug companies accountable for their actions — and inaction — when their prescription or over-the-counter medications result in injury or death. Our wrongful death attorneys also handle cases arising from a dangerous drug, along with product liability cases, including those involving medical devices and medical implants, such as metal-on-metal hip implants, bladder sling devices and transvaginal mesh. Personal Injury FAQ: What Causes Defective Drug Lawsuits? Release of a dangerous medication that lacks an antidote or reversal agent. What is the FDA Approval Process and How to Defective Drugs Get Released? Prior to making a drug available to the public, a drug company will conducts tests — called clinical trials — on the medication. This is required to obtain FDA approval. Documentation that’s submitted as part of the approval process must cite any potential side effects and warnings for labeling. Consumers must be fully aware of any risks associated with the drug. In the rush to get drugs to market, these manufacturers sometimes cut corners and exclude vital information from their documentation if that information may result in additional research and a delay to the release of that medication. Additionally, clinical trials are typically fairly limited in size, usually involving anywhere from hundreds to a few thousand subjects. As a result, some side effects or dangers may not become apparent until the pharmaceutical goes into broader use. What’s more, clinical trials are only conducted for a relatively brief timeframe. Some effects or dangers may not become apparent until many months or years down the road. There have even been cases where drug companies have admitted to ignoring evidence that a particular drug or medical device is faulty — presumably in a move to drive profits. These are just some of the circumstances our dangerous drug lawyers have encountered while handling this type of case. Spotting the Danger: What Common Prescription Drugs Are Considered Dangerous or Defective? Sometimes a prescribed drug that is intended to improve one medical condition can cause other, even more severe conditions. For instance, some diabetes medications have been linked to pancreatic cancer. The following is a partial list of drugs that are currently under investigation. A defective pharmaceutical drug attorney can provide you with more information concerning these medications. Several of these medications have already been pulled off the U.S. market. Their side effects, however, are still affecting patients. In 2013, the FDA reported more than 55 recalls. A recall announces that a product is being removed from the market or that a correction is necessary because the drug is defective or potentially harmful. The drug company may itself uncover a problem in its manufacturing or marketing process and recall the medication on its own. This is a voluntary recall. Or, the company may opt to recall the drug after the FDA has issued its concerns or warnings. As professionals in the health care industry, physicians and pharmacists have an obligation to make sure drugs they prescribe and dispense do not cause harm to patients. Determining the appropriate drug and its correct dosage is critical. These professionals must also fully understand potential side effects and the possible drug interactions. For example, some drugs are not suitable for patients with liver or kidney conditions. Your doctor should not prescribe certain medications knowing that you have such a condition. It is important to alert your doctor and physician when problems with medications arise. It is also important to report any adverse drug reactions or effects to the FDA too. If your doctor failed to ask the right questions when prescribing a drug or simply prescribed an inappropriate medication for your needs, you may have a viable medical malpractice claim. Similarly, if a pharmacist fills a prescription for a drug that is known to cause a dangerous interaction with another prescription that they’ve filled for you, then then you may have grounds for a lawsuit. The same applies to situations where a pharmacist gives you the wrong medication, faulty dosing directions on the label or mistakenly gives you pills or capsules of a different dosage than that which has been prescribed and fails to update the dosing instructions accordingly. Filing a Dangerous Medication Claim: How Can a Defective Drug Lawyer Help Me? Defective medication attorneys are no strangers to the nuances of these cases. Our team has the skill and experience to tackle large drug companies and their aggressive legal teams. We know how to present compelling evidence in a manner that maximizes your chances of seeing a positive outcome. We work with highly-respected medical experts to determine the long-term physical, emotional, and financial effects of a defective drug or dangerous medical device. Unexpected complications from a medication can bring a serious physical, financial and emotional burden to you and your family. We strive to hold the drug companies accountable for the preventable damage they cause to patients like you. When you hire a defective drug lawyer with our highly reputable law firm, you hire an advocate to fight for your rights. 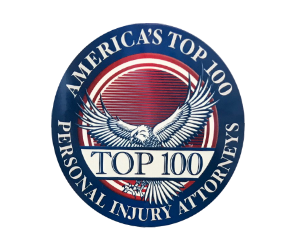 Your attorney will work hard to help you get you the maximum amount of compensation for lost wages, short- and long-term medical expenses, pain and suffering and any other losses you may suffer. Our legal team also handles wrongful death cases, personal injury cases, medical malpractice lawsuits, mass tort lawsuits and product liability cases, so we have the collective knowledge and experience required to bring results for clients who are facing a variety of different challenges. If you or a loved one has experienced medical issues with the drugs listed above or other medications, turn to one of the most experienced law firms in the Midwest. Speak to a member of Phillips Law Offices’ legal team to arrange a free consultation by calling (312) 346-4262. Or, contact us online today.